There will be recitation of bhajans, Shiv Strotras and Mantras throughout the evening. Temple will be open all day from 9:00 a.m. till 12:00 midnight. 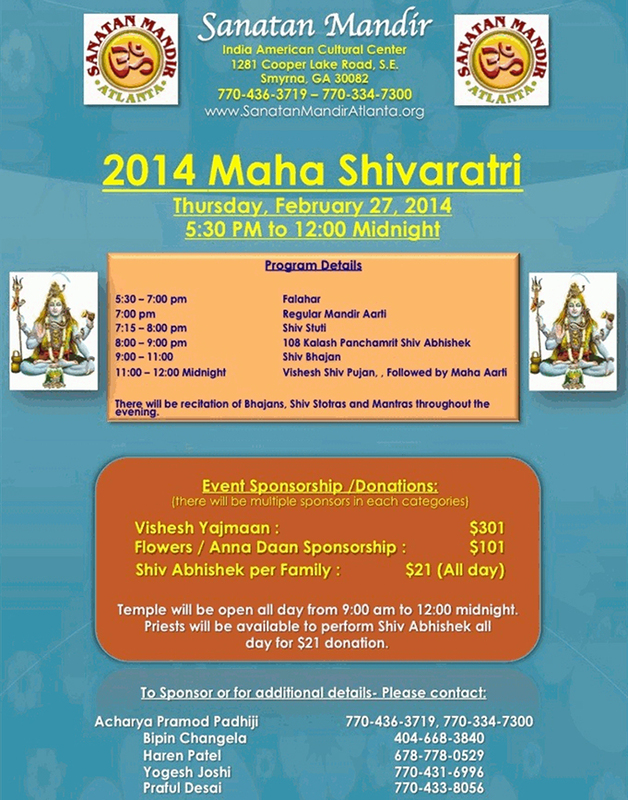 Priests will be available to perform Shiv Abhishek all day for $21 donation.